Vast and Deep Gameplay: Unlock spells and powers, find, craft and upgrade several types of weapons and special items to change Miriam s appearance, mix and match gear and abilities to find your playstyle. Orchestral Music by Industry Legends: With music by Michiru Yamane and Ippo Yamada, respectively, veterans of the Castlevania Franchise and Capcom brand, Bloodstained s music is an unforgettable experience. 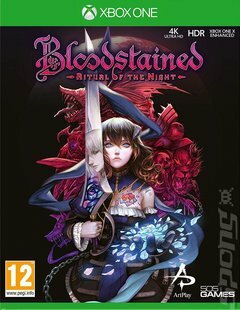 IGA s Biggest Castle: Bloodstained s game world is the biggest of Koji Igarashi s entire career, with a map size almost 2x as big as past Igavania hits.